Blackberry can help you reach your clients and potential customers via branded iOS & Android Apps. It is simple to create, categorise, edit and schedule content using a CMS. Push out notifications to customers, grow sales and promote your business quickly and cost-effectively. There is a one-time set up cost and a small monthly charge for this service. 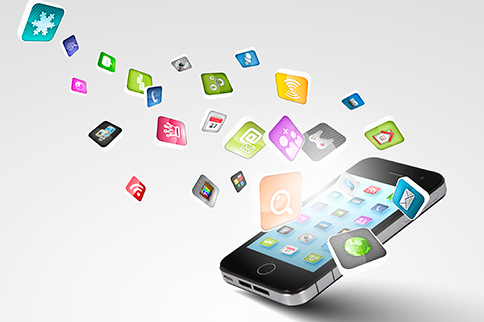 A great way to get a professionally designed App for your business. We can enhance user experience by adding rich media and interactivity simply and quickly. Digital publications can display video, play audio & incorporate interactivity to offer richer engagement for your customers. Using the power of smartphones, apps make everything just a click away – from what’s happening locally, to calculating exchange rates, film times at the cinema, managing social media, providing traffic alerts, listen to playlists or informing you about special offers. Use an app to integrate Social Networking and encourage smartphone and tablet users to engage with you on Facebook, Twitter, Flickr and YouTube. Build your Social Networking Potential and your ability to influence those in your network.